If you are reading this, you should know that you are not alone. Back pain is the most common reason to seek treatment from an experienced and ACGME certified pain management specialists such as Dr. Nikesh Seth. At Integrated Pain Consultants, we recognize that either you or a loved one is in pain, which is why it is important to be correctly diagnosed and have a comprehensive individual back pain treatment plan developed. If you’re seeking help for pain management, please contact one of Integrated Pain Consultants’ three offices to schedule a detailed evaluation – (480) 626-2552, or book your appointment online today. Lumbar degenerative disc disease is a condition that sometimes causes low back pain or radiating pain from damaged discs in the spine. A lumbar spinal disc acts as a shock absorber between vertebrae and allows the joints in the spine to move easily. Commonly referred to as Sciatica, this form of pain radiates from the lower back down through the leg. Lumbar Spinal Stenosis, which is a narrowing of the spinal canal in the lower back, usually happens when bone, tissue, or both, grow in the openings of the spinal bones. 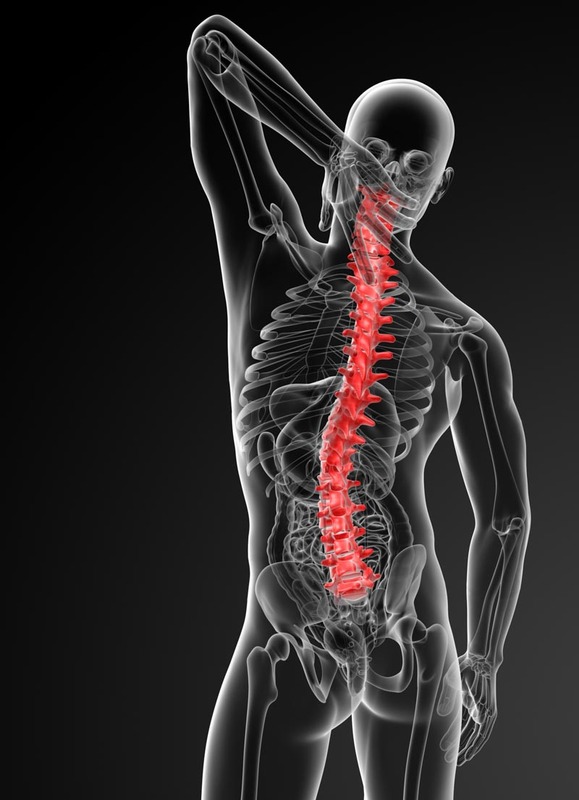 This growth can squeeze and irritate nerves that branch out from the spinal cord. Facet Joint Arthritis is a common cause of back pain and discomfort due to degeneration of this part of the vertebrae. This condition causes pain in the back that does not radiate down the leg(s). Spondylosis, which is an umbrella term, describes symptoms related to degenerative changes in the spine. Compression fractures in your back are small breaks in bones caused by osteoporosis, trauma, or certain types of cancers that often stabilize on their own in about three months. For some patients, the pain is too extreme and additional pain relief is needed. Kyphoplasty is the go to treatment which provides relief for many patients experiencing compression fractures or other spinal fractures. A bulging disc occurs when a weakened or deteriorated disc swells through a crevice in the spine and extends outside of its normal housing. This condition happens when a disc shifts out of its normal position, usually slowly and over a long period of time. As the disc moves, its inner liquid-like nucleus begins to balloon outward towards the weakest point in its hard outer casing. If you are suffering from acute or chronic back pain and need help, please contact Integrated Pain Consultants to schedule an evaluation with our team of pain specialists. With three offices open in Scottsdale, Mesa, and Phoenix, Arizona, learn why we are voted “Top Doc” by Phoenix Magazine and read reviews left by other patients of Dr. Nikesh Seth and his amazing team of physicians and providers. Learn more about pain conditions, pain treatment, and please schedule your appointment by calling (480) 626-2552 or book your appointment online today.